Senior year in High School is such an exciting time. It is a time to reflect back on your school years. It's a time to make those last school memories. And most importantly, it's a time to start looking at the road that lies ahead. What a better way to commiserate this special time than with a personalized senior portrait session. Britt D Photography wants to capture this important milestone with pictures that showcase you and your personality and highlight your school journey, past and future. Break free from the typical studio portraits and chose something that gives you creative freedom to really show who you are. I enjoy getting to know my clients prior to our session so that I can capture authentic and natural images that incorporate elements of your personality and interests. I offer consultations with each of my senior portrait sessions to help you style the session so that your vision comes to life. Need help with what to wear? Location? Props to use? I have you covered. We can discuss all of this and anything else you may think of to customize a perfect portrait session for you. Please feel free to take a look around my site for examples of my work. 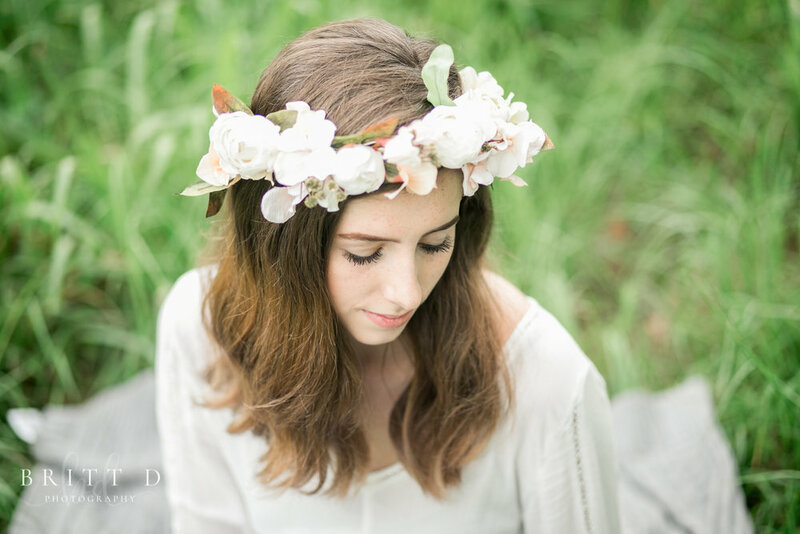 Also, check out this sample gallery of a senior portrait session.